Please select a department to start browsing. Ashvagandha is a unique herb with antistress and adaptogenic properties, that improves physiological endurance and protects against the effects of stress. 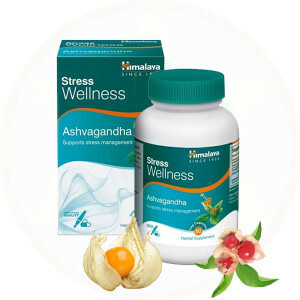 Ashvagandha promotes sexual health by uplifting the mood and reducing anxiety, thus improving energy levels. Recommended use is for those over the age of 14 years. 1-2 capsules twice a daily or as recommended by your health professional.